BREA’S VOLUNTEER ARMY SUPPORTS BELL RINGING STATION ~ now through December 21. Bell ringers at Brea’s main post office on Birch Street are part of an all volunteer army of local citizens and community organizations volunteering their time for the Salvation Army. All proceeds collected in this kettle are used in Brea for those in need. I’ve volunteered at this one many times myself and I can tell you from personal experience it’s a great way to give-back to others. BREA FIREFIGHTERS OPERATION SANTA CLAUS ~ December 1st ~ Brea firefighters will be making a special downtown visit to receive public donations of new, unwrapped toys and clothing from 12:00 – 3:00 p.m. on Saturday, December 1, in support of Operation Santa Claus. They will also be sharing handy reminders about important safety concerns when it comes to decorating and celebrating over the holidays. All Brea fire stations and Brea Library on Level One at the Civic Center will accept your donations for Operation Santa Claus during the campaign period to December 21. Operation Santa Claus toy drive provides gifts for foster or disadvantaged children from infants up to age 17 throughout Orange County. Partnering with the more widely known “Spark of Love” toy drive, contributions can also benefit hundreds of children in need beyond the foster care system. In particular, items for teens are especially sought – games, electronic items, music or videos, clothing or cosmetics. Store gift cards can also be safely donated to this campaign through the fire department. For more information about Operation Santa Claus, call (714) 674-0829.For holiday safety information, contact the Brea Fire Department at 990-7622. 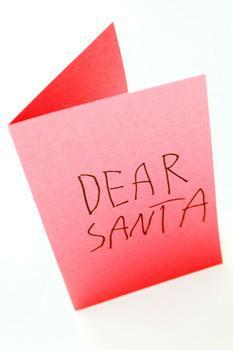 KID’S LETTERS TO SANTA ~ Beginning December 3rd~ Write a letter to Santa and receive a personalized reply. All good little girls and boys are invited to can write Santa at: Santa Claus, North Pole C/O Brea Community Center, 695 E. Madison Way, Brea, CA 92821, no later than December 19. Santa’s elves at the Girl League at Brea-Olinda H.S. 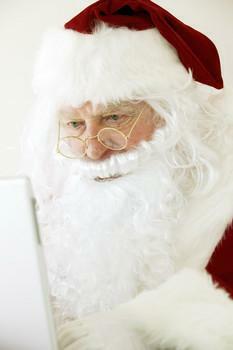 is helping Santa in the program. To receive a personalized reply you need to send a self-addressed stamped envelope to help Santa respond in a time. 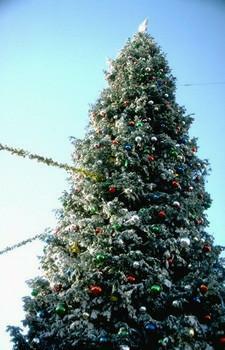 BREA’S TREE LIGHTING ~ December 6th ~ 6:30~ The annual tree lighting ceremony held on the steps of the Brea Civic/Cultural Center. Join in for this holiday event and be entertained by the Laurel Elementary School and Brea-Olinda High School. Mr. and Mrs. Claus will drop in for a visit. Photos of Santa are available for just $2 by Brea’s well know La Neve Photography. Refreshments courtesy of Brea Vons. Admission FREE ~ Call (714) 999-7771 for more info. SANTA SIGHTINGS AROUND TOWN ~The Brea Lions Club once again is now taking reservations for St. Nick visits to your home, or business, including both daytime and evening events, through the Rent-A-Santa program. All proceeds raised help support various community charities. Appointments are available to schedule up until December 23rd. Call (714) 99602950 for more information. HOLIDAY BOTIQUE ~ Brea Senior Center ~ Saturday December 8th 9:00 ~ 2:00 Holiday ornaments ~ children’s music ~ gift ideas and other assorted items. Locations: Brea Senior Center, 500 S. Sievers, Brea. For more info cal (714) 990-7753. Lynda – looks like lots of Holiday fun is happening in Brea California. Thanks for sharing! Thanks so much for the nice visit, and you’re right. There is so much to to here, especially this time of year.